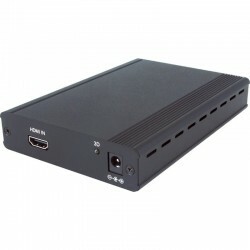 The 1 x 2 HDMI Splitter with audio is fully compliant with HDMI and allows the output from any HDMI equipped device to be split and allow connection to up to two HDTV displays e.g. 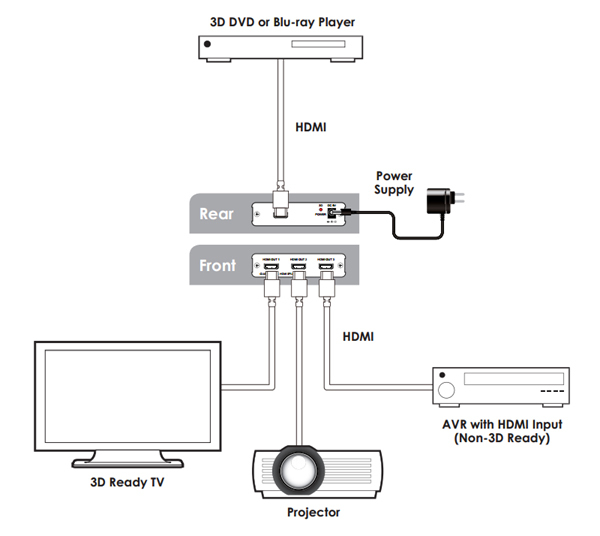 an LCD TV and a projector in the same room. 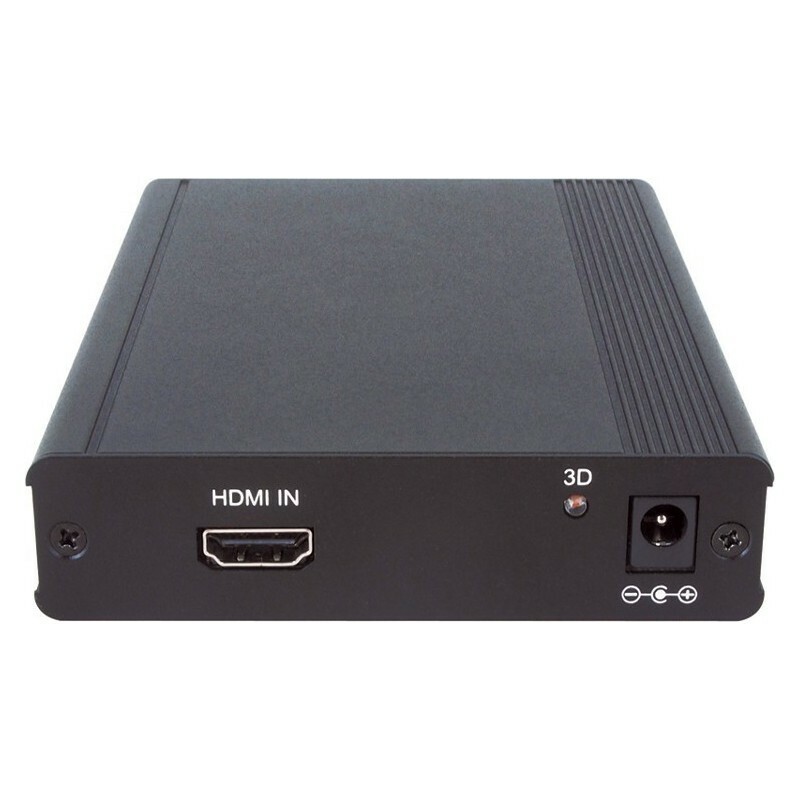 The third HDMI output is an audio with blue screen output, which means it can be connected to an AV Receiver that does not support 3D signal. 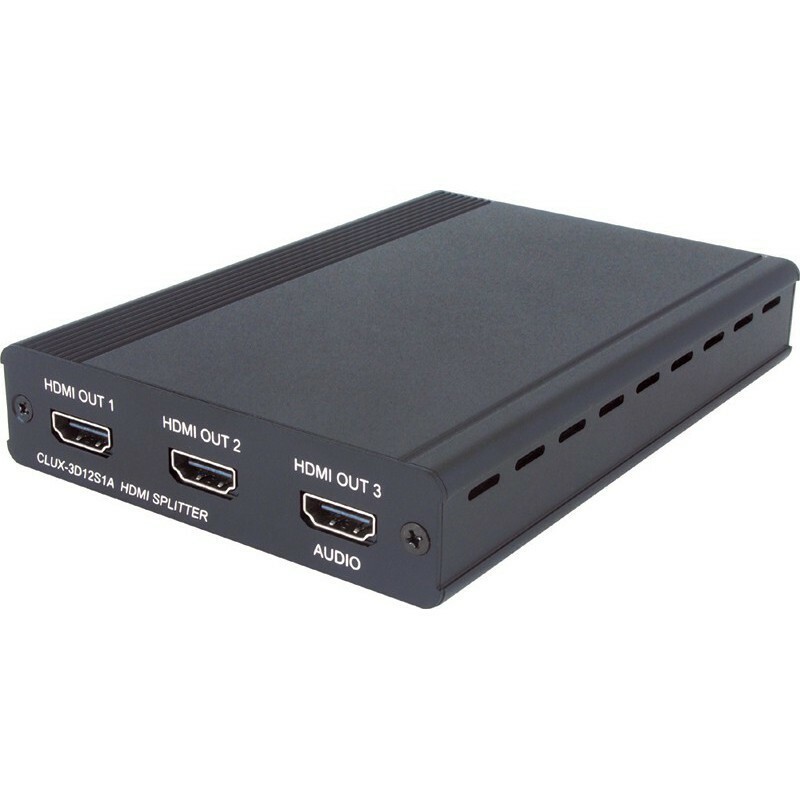 NOTE: If both HDMI OUT 1 & HDMI OUT 2 are connected and HDMI OUT 1 is unplugged, the device will retain the EDID information for that device.